Pier and Face 7 B.
Francis was born at Wrekin Cottage, Wrockwardine, Shropshire in the December quarter 1876, baptised at St Peter's Church on 5 November. He was the son of John (Agricultural Labourer) and Ann Williams. He had six older brothers and sisters, Eleanor, John, Elizabeth, Jane, Mary and Alice, and three younger brother, James, Thomas Arthur and Ernest. (1871 Census RG 10/2807 and 1881 Census RG 11/2679). Cook" for the Bindloss family at 8 Burlington Road. (1911 Census RG 14/21243). Francis enlisted at Buxton into the South Staffordshire Regiment and although his Service Papers are lost, however, other men with similar Service Numbers it seems almost certain that he enlisted late in 1915. At the start of the War the 2nd Battalion was stationed in Aldershot, part of 6th Brigade in 2nd Division. 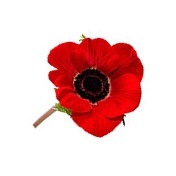 It was immediately posted to the Front and landed at Le Havre on the 13th August 1914. The Battalion were immediately in action at The Battle of Mons and the subsequent retreat, closely followed by The Battle of the Marne; The Battle of the Aisne and, later in the year, The First Battle of Ypres. After the Winter Operations of 1914-15, the 2nd Battalion saw action at The Battle of Festubert (15th - 25th May 1915) and The Battle of Loos, 25th September - 18th October 1915. It was possibly during or after this Battle that Francis joined his Battalion. Francis' Battalion also fought in the Battle of the Somme, which began on the 1st July. He would have first seen action during The Battle of Delville Wood, (15th July - 3rd September). The 2nd Battalion joined the Battle on the 20th July, and on the 27th came under heavy bombardment, followed by an unsuccessful German attack at 9.30 p.m. Later in the year Francis' Battalion fought in The Battle of the Ancre, between the 13th - 18th November. "The section the 2nd Battalion had now taken over was just in front of Bapaume the next objective in the British advance. February 17th was fixed for an attack on Baillescourt Farm, which, if won, would give us the command of the Western Baillescourt approaches to Miraumont. 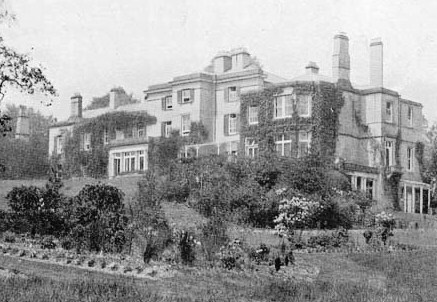 The Battalion left their billets in the evening of the 16th for the front line. The cloudy weather resulted in a pitch dark night, and the thaw made going very difficult. The Germans evidently expected an attack, and their artillery shelled the front and forming-up places continuously, so that the carrying parties were late in arriving. About 5.45 a.m. our barrage opened, and the assaulting lines began to crawl forward to get to their position in I. Trench. For some time the position was rather obscure. The Battalion had gained its objective, but was subjected to the German machine gun fire and casualties were heavy. Afterwards, it was discovered that the attack had been given away and the German line strongly reinforced with men and machine guns. Of the ten Officers who went "over the top" to the attack one only returned uninjured, three returned wounded, two remaining at duty. 2nd Lieut. W. Wright was killed. Lieut. H. Chapman and 2nd Lieut. F. Cave were afterwards found killed, and Captains H.G. Tate, Captain W.H.S. Douglas-Willan and 2nd Lieut. Oxlade were reported missing. The position won was consolidated, and what remained of the Battalion was relieved on the night of the 18th February by the 1st King's Liverpool Regiment. They then went into Brigade Reserve for the remainder of the month. The Germans now had begun their retirement to their celebrated fortified line, and by the 28th February the British had pushed forward and occupied a number of villages, advancing as far as Serre. The British advance sustained few casualties, but here and there some German machine gun nests had to be cleared; and the enemy persistently shelled." As stated above 67 Officers and men, including Francis, of the 2nd Battalion were killed in action on the 17th February 1917. 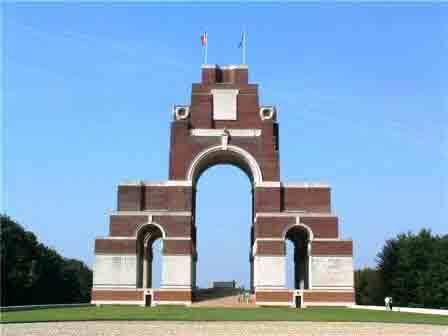 Fifty-one of these casualties have no known grave and are commemorated with Francis on the Thiepval Memorial. 17 February, and is buried in Fairfield Churchyard, Buxton.